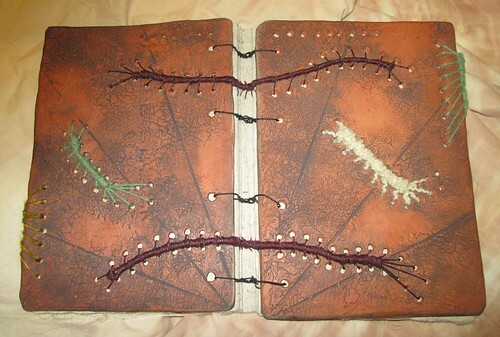 Had to yank out the one going around the top of the spine, and I’m going to rebind the coptic stitches, but I’m pleased with the brown caterpillars across the spine. 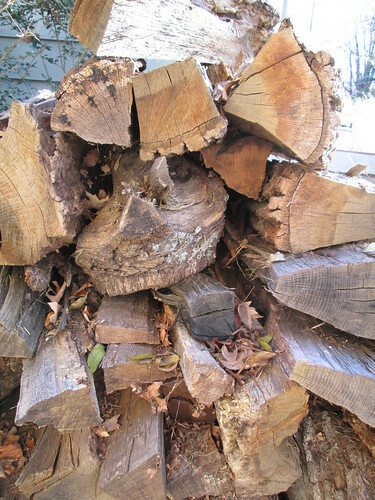 Wood we snagged from down the street last winter when a neighbor took down a dead oak tree. Ready for cold weather!